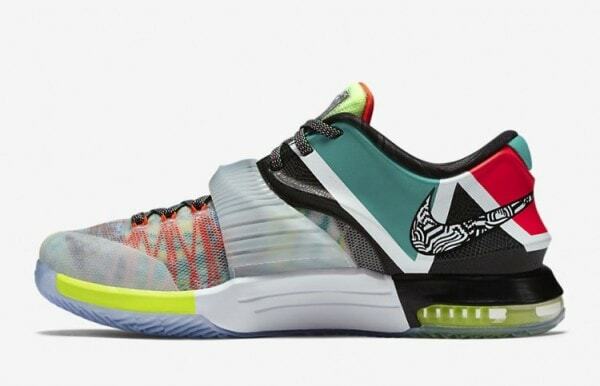 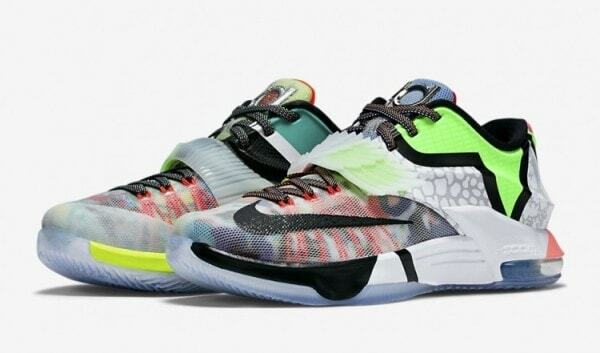 WOW – The official Nike images of the “What The” KD 7 have released today and they look great. They will be releasing on June 20th for a price of $200, along side the new Retro 7 pack & Citrus 11 Lows. 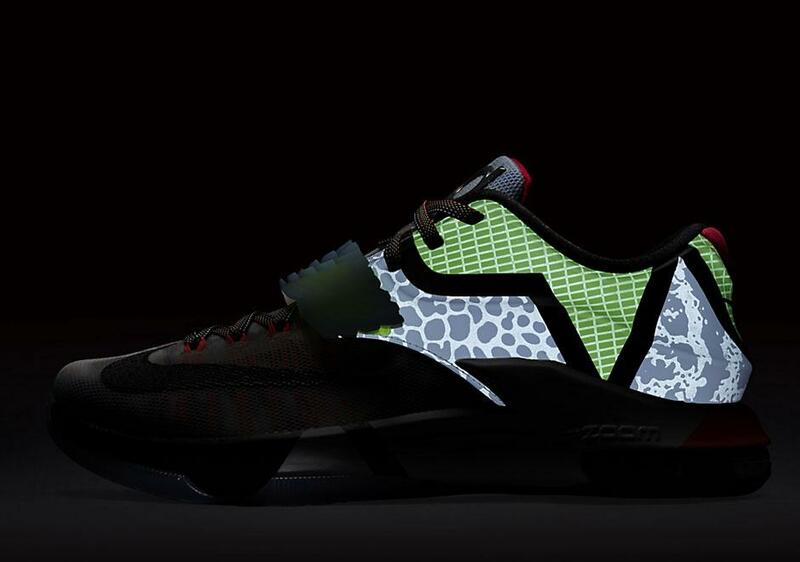 The flashy shoes feature color-ways from the KD7 Lightning, Laquer Blue, All-Star, Electric Eel and many more. 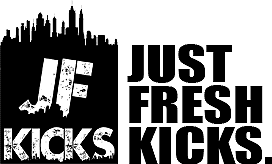 Continue reading for more pictures & stay tuned with JustFreshKix.com for more updates on this release.